The hand and wrist consist of dozens of bones, joints, ligaments, tendons and muscles that need to work together seamlessly in a variety of positions hundreds of times a day. As such, they often require highly specialized medical care when they become injured. Numerous surgical specialties utilize the techniques of microsurgery. 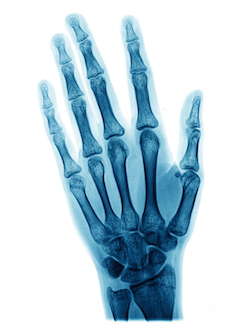 Among hand surgeons, these include microsurgical reconstruction of soft tissues and bone, as well as nerve reconstruction with the advancement of microsurgical techniques. In addition, replantation (such as amputated fingers) has become more common and can be performed with great success both aesthetically and functionally. Microsurgery includes intricate surgery performed on cells, tissues, etc, using a specially designed operating microscope and miniature precision instruments and sutures, as well as specific techniques. Microsurgery allows for very precise surgery on small objects, which would not be possible with the unaided eye. In the hand and wrist, blood vessels and nerves are commonly no larger than one to two millimeters in diameter (equivalent to the thickness of a pencil lead). By employing contemporary microsurgery techniques, instruments and the operating room microscope, surgeons can increase the prognosis for successful blood vessel and nerve repairs, as well as digital replantation.